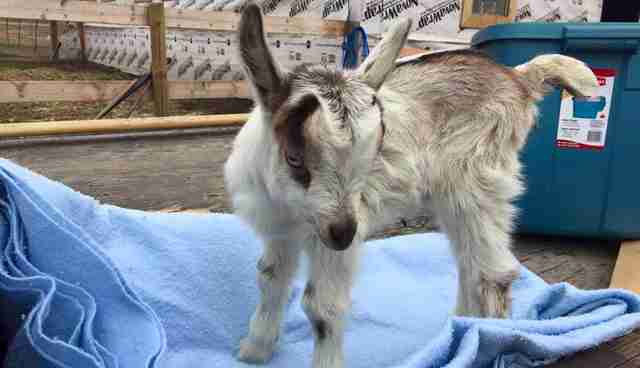 Ten dollars saved the life of a newborn baby goat, who was being sold in the parking lot of a furniture store. 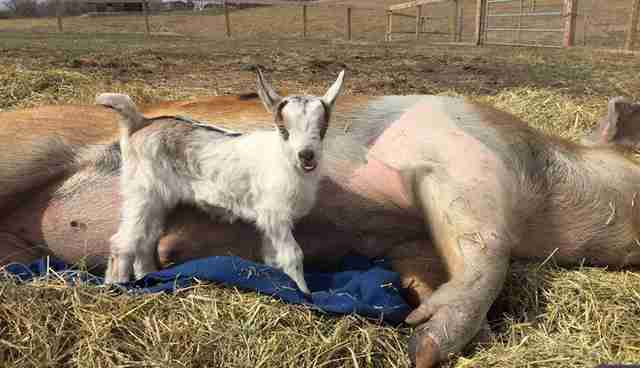 The lady who was selling him was going to sell him for meat if no one wanted him, Melissa Foley, founder of Farm Animal Rescue & Rehoming Movement (FARRM) in Alberta, Canada, told The Dodo. 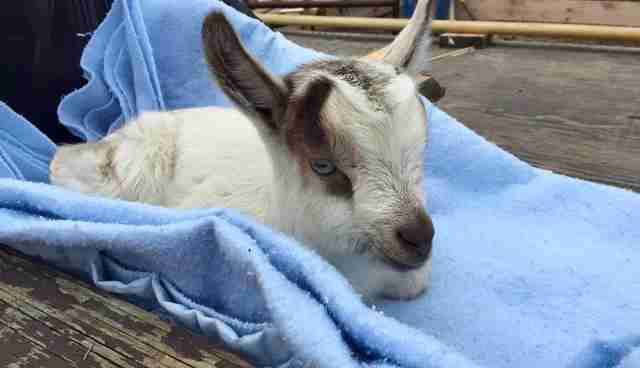 A friend of the sanctuary paid the lady and rushed the little goat to safety, so he could learn to bottle-feed and grow stronger. "He was brought straight here and was able to be fed and settle in," Foley said. 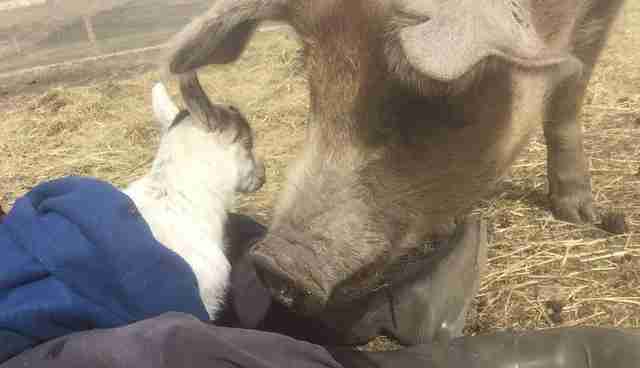 The baby instantly warmed up to the other rescued animals at FARRM. 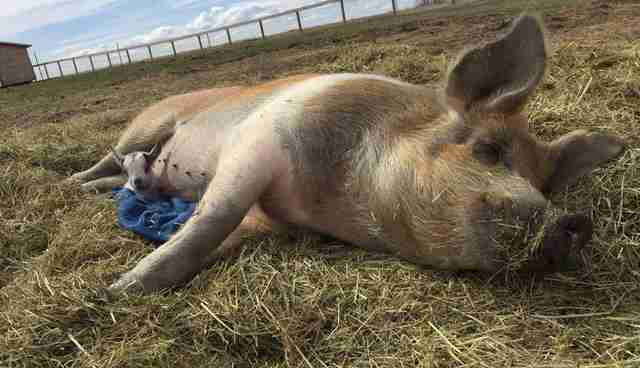 One special new resident is Gizmo, a pig who's been depressed. His sadness started at the ranch where he used to live, after his best friend, a goat named Benny, died suddenly. 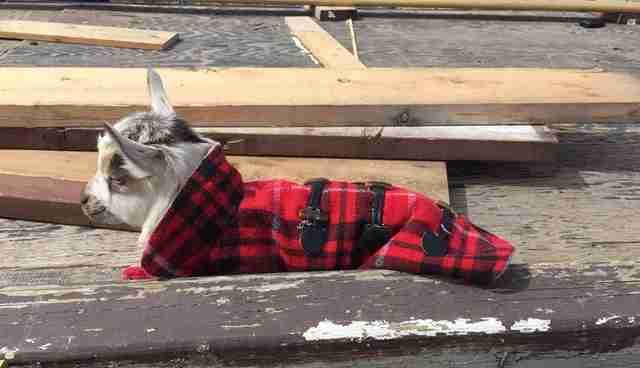 Heartbroken, Gizmo stopped eating and lost 100 pounds. Since coming to FARRM, Gizmo's learning to enjoy life again. And this new baby goat instantly snuggled up to Gizmo when he arrived at FARRM. Now they're helping each other feel safe and happy. "We named him Benny," Foley said, "after Gizmo's old friend." Click here to learn how you can help the rescued animals at FARRM.